Why Travelers Will Need the Eco Backpack? Organizing things or items to bring in a traveling is really important. We will usually determining which ones to be packed and what are should be left at home. You will choose them all by yourself so you know whether or not they are important and useful for you. One of the item that I think we should bring or get during traveling is the eco bag or backpack. If you are using some of the backpacks for the long distance travel, they may too big for you to take them always to the destinations you are visiting. It has been the common thing for many of us when traveling, we are usually taking items or tools such as camera and lenses, selfie stick, power bank to re-charge your phone, clothes, and many more. Using the regular backpack is also recommended, especially when the dimension is not too big to just bring some stuffs. But if you are required the lighter one that won’t use big space inside your suitcase, I think you will have to know about the eco-friendly backpack. It is not only a backpack that is environmental friendly, but can be the traveler-friendly as well since it can be brings anywhere you go. Even though that not all of the eco backpacks are made out of the thin but strong material, but there are some of them that can be as thin as they needed. Thinner than the regular backpack you may have owned. Using this kind of backpack is not only to bring your items when visiting or exploring the destinations. But it will also beneficial when you are shopping. As we know, many of the travelers are also bound to shop along the way. There might be another alternative to the eco backpack which is the tote bag. You can also use that to carry your shops back to the accommodation you have been reserved. But, it has a weakness which can’t be dry quicker when the day in rains. So, it may won’t be an all seasons item for your travel. 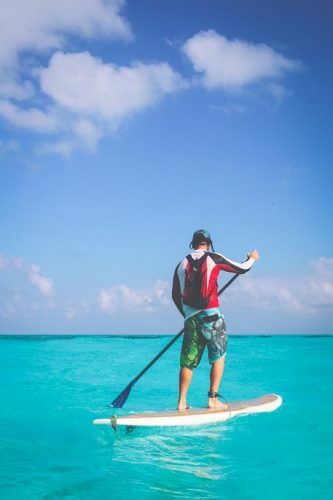 Far different with the eco backpacks that many of them can even using it while you are paddling the canoe or on your surfing board. Above all of those, this backpack can also be the eco-friendlier way to carry things around, even your own wastes if there will not be any of the trash can around the tourism spot. Either the tote bag or the eco backpack, both can really be the carry that will reduce the usage of the plastic bags when carrying things. Using the eco backpack will also makes us at least a bit environmentally responsible about the surrounding while traveling. No matter wherever did you come from! And frankly, it is surely useful for travelers in moving to each destinations or spot without have to get all the things back to the hotel. Hope the innovation for the eco backpack is getting better, as well as design improvement to be more stylish or fashionable so there will be more people will increasingly interested.